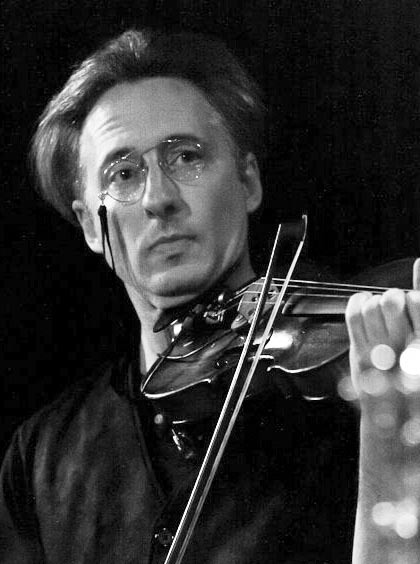 Count Constantin is a violinist, composer, and rhythmicist. He has played and toured in Canada and Romania with Lache Cercel and Roma Swing, was a bandleader for 16 years at the helm of both the Motherland Ensemble and Ensemble Sub Masa, and performed at the French and Hungarian Embassies, the Smithsonian Institute, and the Library of Congress with the Tisza Ensemble. He has composed for theater, dance, and film, and recently had a string quartet produced and recorded under the auspices of Centrum, the Seattle Office of Arts and Culture, and the Jack Straw Foundation. He has been working off and on with the Cabiri since 1999, and loves most every minute of it.